Designing a successful event is about so much more than just colors and flowers. As wedding planners in Chicago, we need to make sure each aspect of the event is infused with the bride and groom’s personal preferences and style. And of course – guests need to have a GREAT TIME! We’ve recruited MaryMonica from the wonderful MaryMonica Music to get the buzz on what’s hot in wedding entertainment. “Live music adds a tapestry and vibe that creates excitement and expectation and builds momentum for the evening. 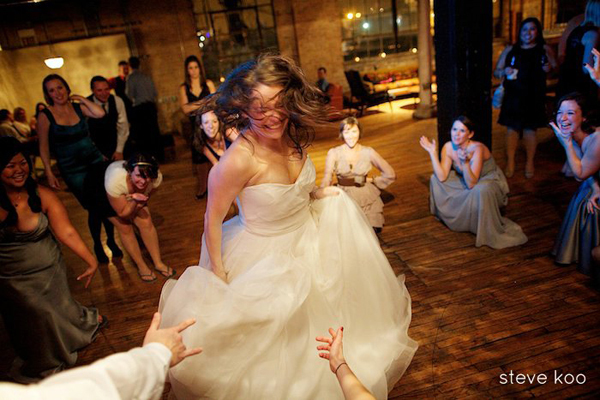 Live music evokes emotion; it punctuates the ceremony and there is nothing better than sipping a cocktail and celebrating with family and friends to the backdrop of a recognized melody played live. Add a cigar roller, ragtime piano or a prohibition style jazz quartet for your cocktail hour to add some 20’s style. Love our “Sweet Home Chicago?” Get Roxy and Velma to perform a number from the musical set in Gangster-Era Chicago as dinner entertainment! Sometimes bigger is better, and there is no good way to do Bollywood small! The “baraat” or groom’s parade led by dhol player(s), strolling DJ booth or both are a festive way to start off the day. Not doing a baraat but love this idea? Lead your guests from cocktails into dinner with the same kind of drummers. Add an eclectic string trio with Sitar, violin and cello to your cocktail hour. Mixing “ East meets West” Bollywood and US top 40 hits by adding dhol players with your DJ entertainment! String trios playing classically arranged hard rock are perfect for a formal event’s cocktail hour. We love watching guests faces when they realize they are listening to Guns N Roses on violins! Add a performance to break up the down time during dinner – Irish dancers, kung fu demonstrations, even belly dancing… An act can amp up the energy in the room and be a personal reflection of your family’s cultural backgrounds. Want to include the wedding party? 2 words – FLASH MOB!